I’ve had to edit this post because it didn’t make sense. I must remember not to blog while watching the Commonwealth Games on TV. Sure was great to see Australia win Gold in the Gymnastics tho. 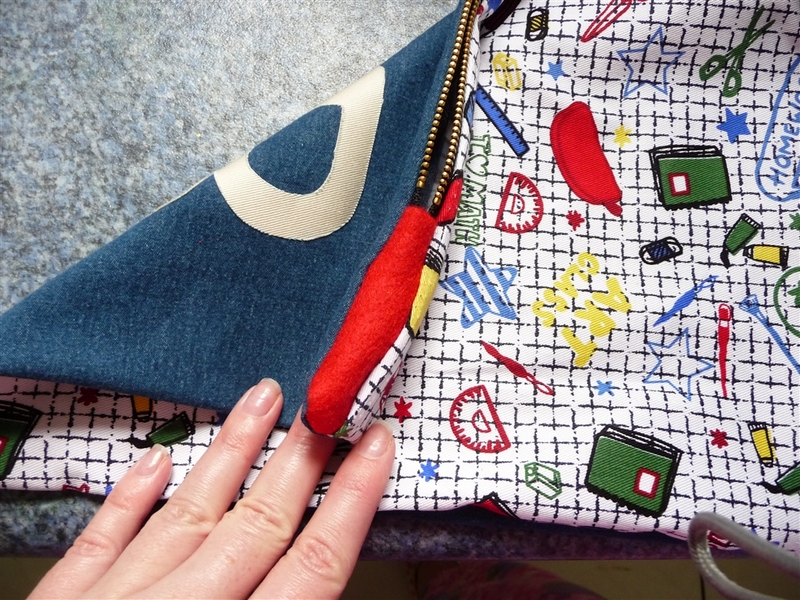 My favourite son wanted a large pencil case and each case I sewed there were major flaws, the were either too smal or I flunked out on sewing in the zipper. 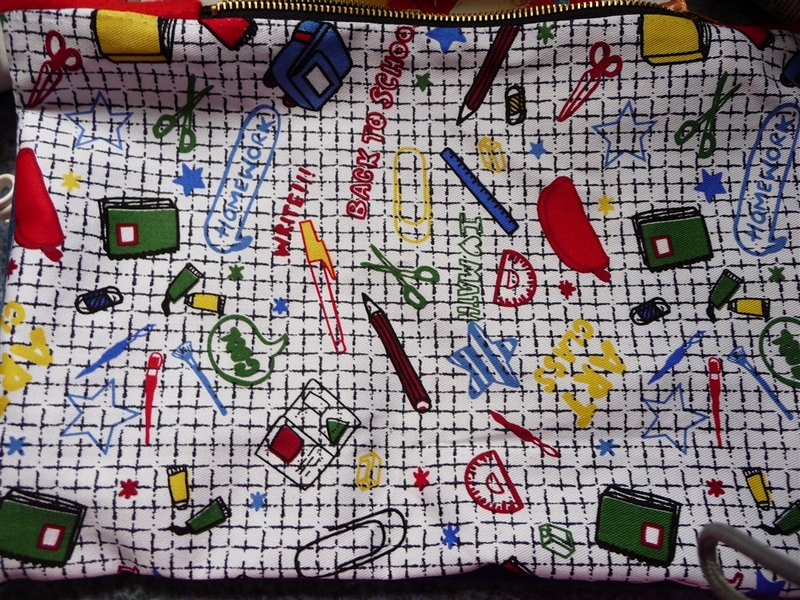 Google sew pencil case and there are heaps of tutorials online. Over the last couple of months I have tried a few and finally I gave up and sewed by instinct. I grabbed and old pair of jeans and cut out a large rectangle that was longer than a 30 cm ruler. My Son loves the pocket! I asked him what he would use the pocket for? Because I wasn’t sure if I need to sewing some velcrow in the pocket to keep his erasers etc. My son replied ‘I want to put my hand in it’. So I kept it plain and simple. In my sewing kit I have some iron on fabric patches that I brought a long time ago to patch my lounge chair. 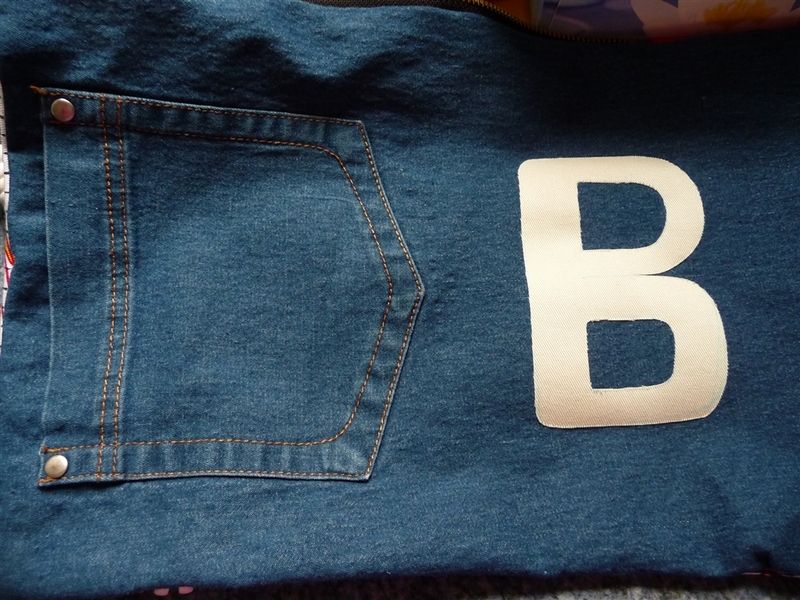 I free-hand traced out a large letter B, which is the initial of my son and cut it out by hand and ironed it on it. There are heaps of blogs that offer give aways for fancy machines that produce a perfect B. My favourite son loved his B and didn’t care how it was produce. This material my favourite son picked out one day when I was dragging the kids through yet another fabric store. He wanted me to make a pillow case with it. On my to-do-list is to make a patch work pillow with the left over fabric from above and following that I will fix my lounge chair with the leftover iron on patches. 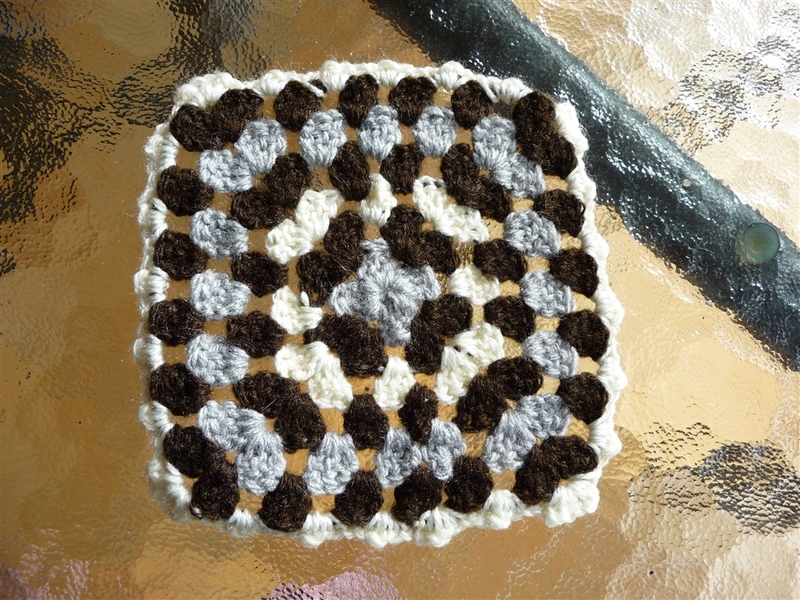 I am proud that my little sister went home after a brief stay with us knowing how to crochet a granny square. Plus her bond with the children is even more close since they all shared a good does of the swine flu. 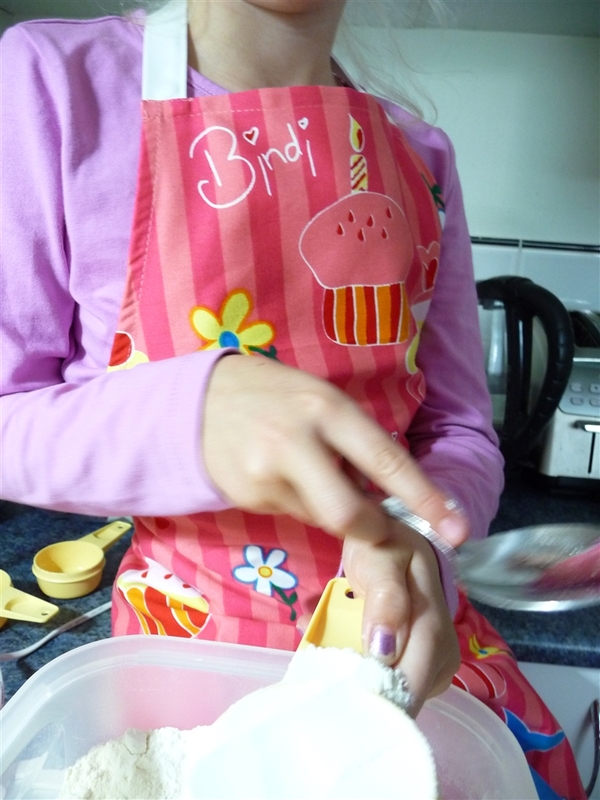 My little princess loves this Bindi apron. I totally forgot that I sent away 3 barcodes on her behalf and she was beyond happy that a parcel arrived in the mail with her name on it. Hope everyone had a wonderful weekend? I sure did.